Both France and China were on the losing end of blowout decisions in the FIBA World Cup quarterfinals to Belgium and Australia, respectively. Of course, both France and China were on the winning end of decisions in their respective classification games against Nigeria and Canada. While it may not have been for the tournament’s signature prize, it still will mean something to a team to end the World Cup on a high note with a victory. France achieved that on Sunday in Tenerife, Spain as it earned an 81-67 victory over China. It was a contest that began in China’s favor as the team had a 27-19 advantage after the first quarter before being outdone by France throughout the remainder of the game. Speaking of free throws, which was an issue for Nigeria in its game against Canada, China only managed to shoot 54 percent from the free throw line. France was a bit better at 70 percent in addition to going 44 percent from behind the arc. France had 35 points from it bench compared to China’s 22, but China had 15 points in transition with the fast break compared to five for France. 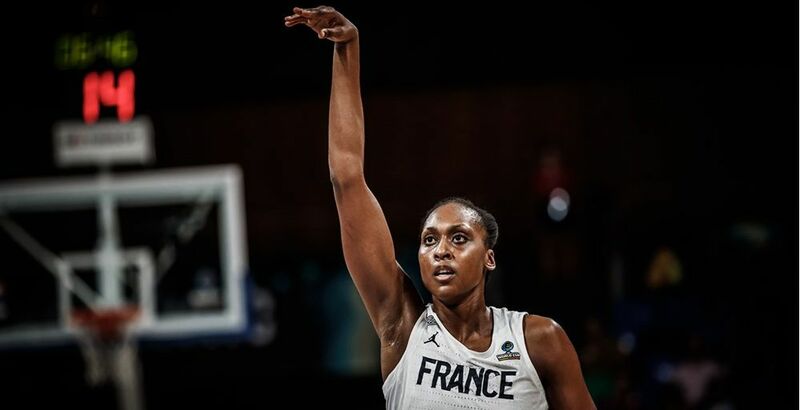 France once embarked on an 18-0 run that spanned the end of the third and the opening portions of the fourth which stretched its lead out to 67-50. Sandrine Gruda scored 16 points and Marine Johannes added 11. Alexia Chartereau had 10 points along with six rebounds. Shao Ting also finished with 16 points and six rebounds. Mengran Sun hauled in nine boards. Yueru Li scored 12 points and Yuan Li gave out six assists.